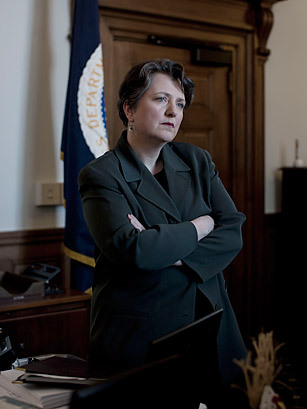 And though her charge as Deputy Secretary of the U.S. Department of Agriculture is to represent all factions  whatever decision she's making, as one Washington insider told me, she "walks between raindrops"  you think, She's one of us. Then you learn that she supports conventional farmers, refuses to vilify biotech and relishes above all else a good steak. "I displease pleasingly," she'll say, and you respect her all the more.